Azure Container Registry is a private registry for hosting container images, which is hosted for you on Azure platform. You can use it to store your private Docker images for all types of container deployments. Azure Container Registry integrates well with orchestrators hosted in Azure Container Service, including Docker Swarm, DC/OS, and Kubernetes. It is fully compatible with pen source Docker Registry v2. 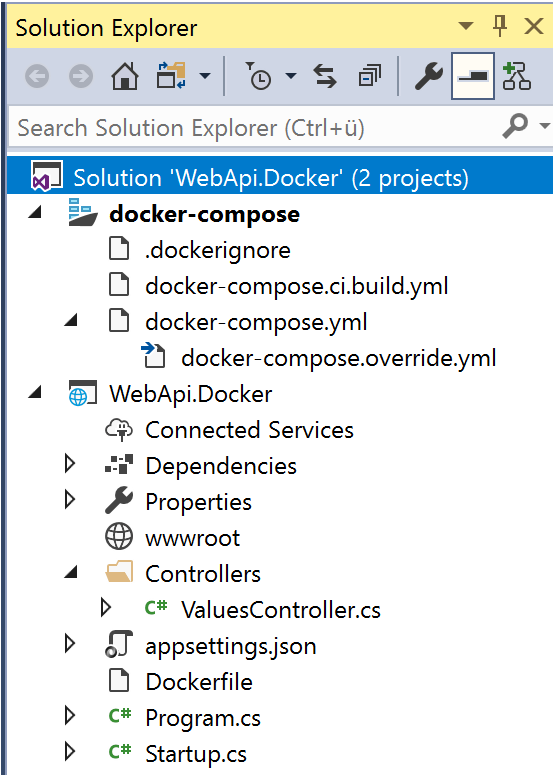 To test repository create an ASP.NET Core WebApi project with docker support. If you don't know how to do that, please take a look here. and you will get some result. This means your API is working locally. This image is created by Visual Studio build process. To deploy this image Azure Registry go to WebApi.Docker project, right-mouse click and publish the project directly to registry. 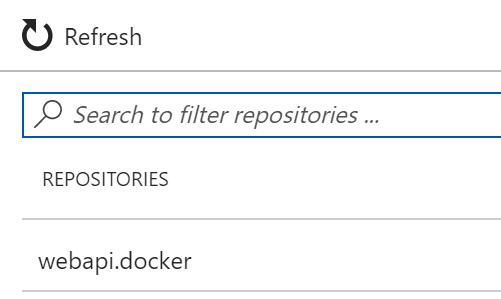 Go to azure portal and notice published repository. Plese note, that too many deployments migth vaste your drive space :). You should clean unnedded images. Now, if you like you can run created container locally from any of deployed images. But note please don't use image with label 'dev'. That one will not run as it should. As next, let's deploy the image from command prompt using azure CLI. Remember, in previous step we have deployed image by using Visual Studio. To do this, you first have to install ACR Docker Credential Helper as an admin. 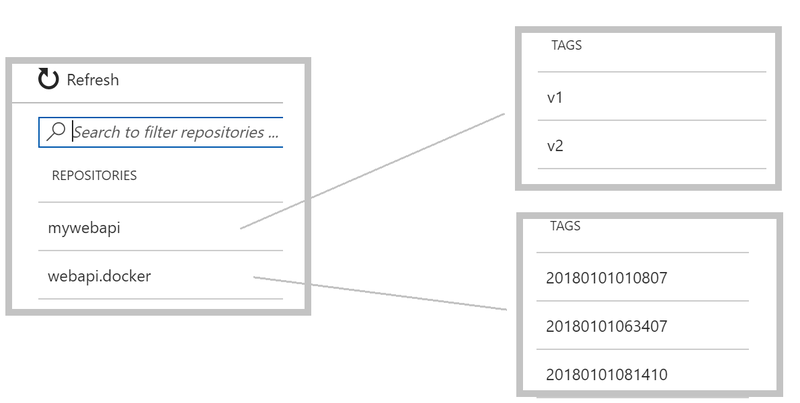 This tool allows you to sign-in to the Azure Container Registry service using you Azure Active Directory (AAD) credentials. Name damir is a host nae of my registry. Do not use here FQDN like damir.azurecr.io. Before you can publish the image, you have to create a tag as in a case of docker hub. Finally, fo to azure portal in your ACR, scroll down and lookup repositories on the left side. This is the place where you can find published repository.